POSTED BY Pardeep Sharma ON 01-Dec-2018. 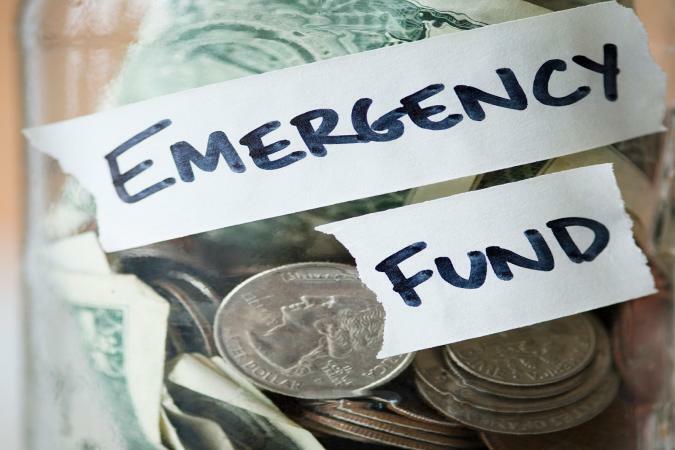 At times of financial emergency, a majority of individuals consider premature withdrawal of their investments or utilise their savings to overcome the hurdles. Breaking fixed deposits or any such products before maturity means you will have to pay a fee. Also, using up savings lowers your potential to use the same during contingencies. One of the excellent alternatives to all of these is an instant personal loan. As the name suggests, you can obtain these loans instantly and keep your investments and savings intact. Financial institutions can approve instant loans within 5 minutes and disburse the same to your bank account within 24 hours. You don’t have to provide any asset as collateral for taking out such loans because of their unsecured nature. You only have to produce a few required documents for personal loans. Top lending organisations allow you to submit documents online. These loans can be both short-term, and long-term as the repayment tenures range from 12 to 60 months. In addition to the above, personal loans can be used for any financial cause irrespective of it being an emergency. Financial institutions will check your credit score and report when you apply for a personal loan. A good CIBIL score is crucial for your loan application to go through even if you have furnished all the necessary documents and meet the eligibility criterions. The CIBIL score is based on your credit report which includes all the details of your loans and credit card. Your report will be positive if you have handled all your credits responsibly. The same will also reflect in your score. Lenders usually want a customer to have a credit score of 750 or above for obtaining an unsecured loan. You can also get lower personal loan interest rates with a high credit score. The next step for availing an instant personal loan will be to provide all the essential documents. Aadhaar, PAN, Driving License, Voter ID, Passport, etc. House rent agreement, latest utility bill or any document mentioned above with permanent address as address proof. Salary slips if you are employed. Business turnover documents for the previous year audited by a CA if you are self-employed. Trade license, SEBI registration, a certificate from Registrar of Companies, GST certificate, partnership deed, etc. as proof of business. Income tax returns for the previous year. Note: Document requirement may vary with lenders. 23 to 58 years of age. Employed with a public/private company or MNC. 22 and 55 years of age. A business vintage of at least 3 years. Some financial institutions provide an online eligibility calculator that you can use to check out the loan amount you can avail based on your personal details. These include some of the essential things you must take care of to get a personal loan. Your fixed monthly obligations are the necessary expenses that you have to pay every month. These may include loan EMIs, tuition fees, house rent, etc. Lenders will compare your fixed monthly obligations and income to find your debt-to-income ratio. Generally, they prefer a ratio of 50% or less. Pay off your other loan EMIs or credit card debts to lower this ratio before opting for these loans. You can use a personal loan EMI calculator to determine your EMIs. All you have to do is provide your personal loan interest rates, tenure, and principal and the calculator will generate your monthly instalments. This calculator can be helpful for planning you loan repayment better. Last but not the least, you need to compare the lenders and take into account the interest rates, processing fees, and features. Check out how to apply for a personal loan beforehand, so you don’t encounter any hassle on the procedure and avail benefits mentioned above.